We've reached the end of another month, this one marked by the splash of fall colors mixed with plenty of rain on the final day. In honor of Halloween, we remember one of the most famous witches ever, as we ask the age-old question: "Mirror, mirror, on the wall, who was the biggest chUMp of them all?" This was a surprisingly quiet month on the chUMp front, nothing like September. Last month was like a never-ending episode of "chUMps gone wild" by comparison to October. But, as always, there are some chUMps worth mentioning, based on their actions and words this month, not just their prior reputation. Lloyd Carr: The old coach was blurry about why he ever "retired", but he said his memory of the 2001 game was crisp and clear. He thinks there was a fraction of a second to argue about in that game, but he forgets the 2008 game when the UM Replay Official actually gave seven points to Michigan on an incorrect application of the rules. Besides, Lloyd acted so indignant on the day Gary Moeller was fired, then took his job a few days later. Carr is definitely a chUMp. Frank Beckmann: Speaking of another "Michigan Man" who is "retiring", the old codger tried to make fun of MSU for not winning a national championship since the 1950s, when his team counts "national championships" from before the NCAA started tracking football. That just dUMb, Frankie. You're a chUMp. A.J. Williams: Here's a current player on the Michigan team who gets popped for DUI during MSU week, so he got suspended for the game this weekend. What a dork, eh? He's earning his skunkbear stripes, so we'll call him a chUMp. Here's a guy who was pulled over for running a stop sign, booked for drunk driving, and pleaded guilty to a DUI just before August camp started in 2012, drawing a team suspension and messing up the start to his junior season. And now he's back. And yapping. Fitzy No Saint must have attended the Mike Hart School of Bigmouth Blabbering during all of his free time. He actually decided that MSU Week was the right time to call Spartan Nation "Little Brother". Apparently, he just couldn't help himself. 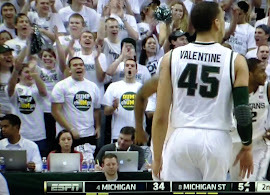 When Hart hyper-extended his pie-hole, he was actually done playing Michigan State; he didn't have to face us again. But Fitzy is coming over to our house on Saturday afternoon, so he chose a very clever time to call our team names. Turns out he was previously caught driving with a suspended license, but that was when he was a freshman oh-so-many-years-ago (2010). Funny thing is, his DUI was caught on tape and posted for all to see, here, and here, and here. on Saturday, hopefully with the football in his hands. Today is a day that is famous to all Wolverine fans, as it was on this date in 1886 that UM beat Albion by a score of 24-0. The Head Coach was not carried off the field, because there was no Head Coach. Too bad, since the game capped a thrilling undefeated season for Michigan, finishing with a 2-0 record. It was the third year in a row that UM compiled an undefeated season while playing only two or three games. There were no tackles below the waist, because those were not yet legalized. The "flying wedge" was the main offensive play, because it had not yet been made illegal. There were no forward passes, because nobody had figured it out yet. They played two "innings" on a field of indeterminate proportions using a ball of imprecise size and shape. The Michigan Argonaut reported the event as "a rugby game", a description that sounds pretty accurate. Yet the Bluebloods want to look back at it as "football". Now you know a little bit more about how they count their win totals. 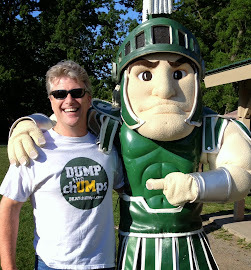 MSU FOOTBALL FRONT-BURNER: IT'S DUMP THE chUMps WEEK! Panelists Respond to Rivalry Questions. our panelists present unique opinions about many facets of Spartan football. Reader comments are encouraged. Click the link at the bottom of the post. 1. MSU won their last two conference games by a combined score of 56-3 (Purdue and Illinois), while UM split their last two conference games by a combined score of 103-90 (Penn State and Indiana). What can read into these totals and spreads as they apply Saturday's rivalry game? 2. UM has struggled in the trenches. Many believe MSU will be able to run the ball on their front seven. At the same time, some say MSU's play calling has been impatient - even though they run the ball effectively they go to the air too soon or get out of rhythm with "cute" plays. Do you have concerns about how MSU's play calling could affect the game? 3. Did you observe any interesting developments, plays or story-lines from last Saturday's MSU and/or UM games that may have gone largely unnoticed or lacked meaningful media focus? How do they relate to this Saturday's game? 4. Michigan has had two weeks to heal and prepare for MSU. What impact do you think the UM bye week will have on this this game? 5. What questions about Spartans and/or Wolverines are you looking for this game to answer? What will the results tell us? 7. What is your favorite memory or personal story related to this series (optional)? Responses to questions supplied by SpartanMan82. Be sure to investigate the links. MSU has won the last two conference games by a combined score of 56-3, while UM has split their last two conference games by a combined score of 103-90. Why are we thinking this game will be close? Because the game features Michigan, the dirtiest team in the country. The normal rule-book does not apply to UM, as game officials are allowed to pick-and-choose which rules to enforce and when to enforce them, always keeping the Wolverines interests in mind. Oh, and because they beat Central Michigan 59-9. Will Taylor Lewan have a big game for the Wolverines this weekend, or will he be ejected before half-time for repeated Unsportsmanlike Conduct penalties? He should be preemptively ejected for past misconduct. Instead, he will be allowed to punch, kick, gouge, scratch, spit, and stomp on any Spartan before, during, and after every play. If anybody wearing green bumps into him on his way off the field, that player will be executed on the spot. After the game, he will accuse MSU of "playing dirty". This is a tough one, lots of reasons for Hoke to stay home. In the end, it will be his fascination with Sparty that will bring him back to East Lansing. Besides, we have donut shops, too. But no, he won't be wearing headphones as they only mess up his fancy hairstyle. What is your "over-under" for make-believe penalty calls against MSU that keep the game close? The current line is 2-1/2. There will certainly be one or two made-up calls against MSU, perhaps as many as four or five. Count on these calls to extend Michigan drives or even directly put points on the scoreboard. That's how they almost won the game in 1990, and it's how they tried to win the game in 2008. Michigan State hosts Michigan this weekend, then again next year for two home games in two years. How many more consecutive home games would MSU have to play against UM to equal the longest home-game streak in the series? We're going to need a very large computer to calculate this number. Michigan played an infinite number of home games for decades, usually against super-powerhouse programs like Albion. To even the series, MSU would need to host every game until our sun goes into supernova. The Michigan Football Program remains on NCAA Probation. Why doesn't the media report on it? This is a super-duper extra-special high-security Top Secret piece of information. (Even Obama doesn't know about it.) Sure, their Probation penalties don't expire until next week, but hey, what's a little cheating now and then? Just because UM ran formally coached practices through the Summer, and got caught at it, why is that "news"? A better question is why doesn't the media report on those two Michigan Wrestlers who got popped with the Molotov Cocktails on Louisville Championship Night? Wow, that's all very interesting. Anything else to say about the big game? Yeah, read my letter and see you on Saturday. An increasingly common misperception found on sports web site comment threads suggests that Michigan State Football players "played dirty" against Michigan in recent games, and that claim is supposed to mean something. Unless they're saying the referees aren't making all the calls. Will Gholston is fouled multiple times by Taylor Lewan before finally getting up and foolishly throwing a punch. Why only one flag on this play? Roy Roundtree openly facemasks Johnny Adams, with no flag thrown. Why no penalty on this play? Jonas Mouton punches a Notre Dame player, and again, there is no penalty assessed. Greg Matthews kicks an Oregon football player years ago, no infraction in Michigan Stadium. Here's a pretty good summary of the roots of the misperception, coming out of the game from two years ago. It marked the fourth consecutive win for MSU, hence the need for Weasel Nation to create a distraction by advancing this type of story. As for Lewan, here's some background on the guy who prides himself on playing dirty. So don't let any chUMps yank your chain this week, claiming that Spartans "play dirty", as if it's more true about MSU than any other school, including UM. They are about the same as everybody else in all things, including football. Dirty in football, dirty in basketball, the Michigan Wolverines are surely "America's Dirty Team". 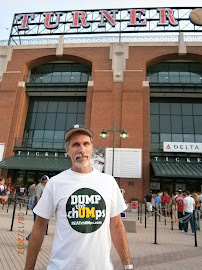 ON TO DUMP the chUMps WEEK - BRING IT! Well at least they all count for one. Because it was on this day in 1890 that the proto-Wolverines clashed on the gridiron with the mighty Albion Britons, scraping together a 16-0 win. That score probably means four touchdowns with one missed extra point. Back then, TDs were four points, and point-after-kicks were two points. Much like today. The football field may have been 80 yards long, or perhaps 110 yards, the historical record is unclear on this point. The infamous "Flying Wedge" was the prime offensive play, before being outlawed by President Theodore Roosevelt in 1906. There was no forward passing, and neither team had a Head Coach. Doubtful about any popcorn. When you hear all that jibber-jabber about the "all-time wins" numbers for UM, remember games like this one, along with hundreds more that were played before the NCAA began tracking football in 1937. With no standard rules in place for the shape and size of the ball, with field dimensions left up to local decision, and tackling below the waist having just been legalized, these so-called "games" are barely a blip on the historical record. 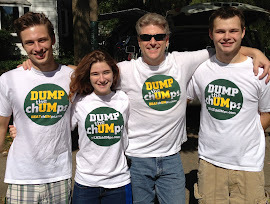 But to chUMp nation, they are the quintessential definition of Michigan Football. Hoo-Hah! is also attached at the bottom of the post. Below are this week's Front-Burner questions. How do you see the offense functioning with the tougher opponents and higher stakes on the horizon? Should we keep ragging on the Spartan Offense, or can we just agree that it's not a team strength this year and move on? Considering your response Question #1, can the defense carry the team through the balance of the Big Ten schedule if needed? Is the Spartans' defense really as good as advertised or are we drinking a little Kool-Aid based on the teams MSU has faced this year? Should a second Spartans quarterback have seen playing time against Indiana? How about with Cook struggling against Purdue? Should Dantonio be looking for an opportunity to play a second QB at Illinois? Did you observe any interesting developments, plays or story-lines from Saturday's game that may have gone largely unnoticed or lacked meaningful media focus? Michigan has two weeks to heal and prepare for MSU. What do you think each team's performance this past Saturday says about the November 2 match up in East Lansing? 1. How do you see the offense functioning with the tougher opponents and higher stakes on the horizon? Should we keep ragging on the Spartan Offense, or can we just agree that it's not a team strength this year and move on? Ragging? No, but there are many things to discuss. Why no ragging? Because there is nothing we can say or do that will have any influence on the result of any game. Also, Monday morning quarterbacking is so much easier than planning and executing a game in real time. What we have seen is 4 weeks of revolving QB starters, followed by 2 fair weather weeks and 1 foul weather week. Would we even be having this conversation had we had a known starter since week 1? No. The Purdue game had a lot of good things, and things that did not follow the script. Ask this question again after the Illinois game. It will be relevant then. The coaches are holding back so much of the playbook that it's hard to know what will happen when the "real games" begin. Either way, the Offense is not a team strength right now, and no amount of Internet commentary will change that. I am still right where I was last week in the discussion of the offense... We have made some vast improvements from where we were to start the season but we are not yet to the level we need to be at. We regressed last week against Purdue. No excuses about it. Frankly, I think Purdue played us a lot like ND in that they would let us pick up yards with the run and short passes knowing that we would get impatient and try and force something and the drive would stall. We fell right into that trap and we don't have the tools that can make a defense pay on a consistent bases for playing us conservatively. U of M, Nebraska and NW do not have great defenses but they are better than what Purdue has. If we don't call a game that forces defenses to adjust and Cook can't make teams pay for those adjustments, there are going to be some ugly games that we don't have the consolations of "hey at least we won." 2. Considering your response Question #1, can the defense carry the team through the balance of the Big Ten schedule if needed? Is the Spartans' defense really as good as advertised or are we drinking a little Kool-Aid based on the teams MSU has faced this year? MSU's defense is good... really good. The numbers might be inflated a bit because of the competition but what would you expect from a top ranked defense against this level of competition? This defense is going to have to put up some really average numbers the rest of the way out in order to even regress to last years numbers and last year was a top-5 defense no questions asked. With that said, I do not see them being able to carry this team to a championship level. They will keep us in every game the rest of the way out. The only way we will be down by 2 or more scores this year is if the offense is so bad that they are putting up 3 or less points in a game. Our defense is good but at the end of the day you have to score at least a few points to win football games. You are not going to simply be able to outclass the likes of U of M, Nebraska, or NW as you have to this point in the B1G season. The Spartans have already equaled the 2012 regular season wins. So, yes, the defense can carry the team if needed. The defense is as good as advertised (sans the "no fly zone") but it is not perfect. Teams will make plays against Duzzi's Dawgs. It will happen, but it is the aggregate of the whole game that defines how good or not so good the defense is. The Defense is our team strength, and it seems good enough to keep us in every game unless the Offense gift-wraps multiple red-zone turnovers to a good opponent. The Defense is not "magical", and it can't be counted on to score points, so the idea that MSU can be "carried" by it is a little far-fetched. The Offense still needs to score points. We must keep in mind that our coaches are perfectly willing to let an opponent move the ball downfield, as long as it happens little by little. They have geared the Defense to stop the big play, and in so doing, we are left vulnerable to lots of little plays. Dantonio has correctly identified the chances of opponent mistakes to be higher the more plays they have to run. 3. Should a second Spartans quarterback have seen playing time against Indiana? How about with Cook struggling against Purdue? Should Dantonio be looking for an opportunity to play a second QB at Illinois? Yes/Yes/Yes. O'Connor should have received pre-scheduled playing time in each of the last two games, and again this weekend. It's not a "controversy", it's a simple need for depth at the most important position. O'Connor should absolutely NOT be "thrown in at the end" out of desperation; if Cook is the starter, it's his game to win or lose at the end. But Dantonio has been repeating his self-acknowledged mistake by over-committing to a single player and locking-in on that guy to get all of the available playing time. If Connor Cook were only vulnerable to Kryptonite, I would be good to go with him playing every down. But if there's any chance he could be injured, I'm certain we need a #2 ready to go on short notice. We were beating Michigan in 2004 when Woodley knocked Stanton out of the game. We lost that year because we had no viable backup. We need a backup quarterback ready to go, and we needed it two weeks ago. As I said last week to a similar question... No, no, no. Preparing a second quarterback when your first quarterback has so much to work on is silly. Cook is the QB. There seem to be a universal agreement that pulling him in the final moments of the ND game was a bad decision on multiple levels. But pulling him in a game like Saturday would have caused so much more of an uproar. Let's step back for a minute because we all know that it was a bad game for him. When would you have pulled Cook? At the end of the first quarter? End of the second? Maybe some time in the 3rd? Cook went 4-for-6 for 74 yards and rushed for 11 yards (including a huge 3rd down conversion on the final drive) in the 4th quarter. Does anyone think that there was an option on the team that would have had those numbers in the 4th quarter? I don't. Cook's game was off. He had some obvious mechanical issues (specifically he was throwing the ball like a baseball player and not like a quarterback and so he had a lot of balls sail on him). But at least when the game was on the line he came through and not only guided the team to a bit of a cushion but also ate up nearly 11 minutes of the 4th quarter. 7 games done and 5 to go (regulation) and the backup is not getting snaps? Regardless of Cook's performance (good or not so good), another QB needs game time. Maxwell has experience, but if he is the backup he needs time on the field. Throwing him into the ND game with little or no practice reps and hardly any time to warm up really did not work. It should be part of the game plan to have a second QB in there. Something happens to Cook and then what? 4. Did you observe any interesting developments, plays or story-lines from Saturday's game that may have gone largely unnoticed or lacked meaningful media focus? Once again, to remain consistent... no one is talking about Warner's play calling. Langford picked up 5.5 YPC and was getting stronger as the game progressed. We opened the game with 3 rushes for 30 yards and then went to an end around and a pass to kill the drive. Next drive one run and 2 passes. In the first quarter Langford ran the ball 8 times for 52 yards. On the last drive he ran 6 times for 34 yards. That means that between the 1st quarter and the final drive Langford combined for 14 carries for 86 yards. That means for the 2.5 quarters in the middle he only got 10 carries (despite still picking up 4.5 YPC). I saw very little from the play calling that would suggest that we used the run to set up the pass. MSU's offense has been at its best when it leverages its running game to set up the everything else. This year we have gotten away from that. And even though we scored, that was a poor play call down at the goal line. Lippett could have run it in himself but being a non-quarterback in that position he threw it anyway to a guy that isn't known as a pass catching TE. So much could have gone wrong with that play and its another "cute" play call instead of just going after a tired and worn down Purdue defense. Use the run and get away from the cute stuff. The game plan and play calling is evolving and becoming more creative (other than not giving a second QB quality playing time). This is not referring to the trick plays, but the down and distance calls. The MSU Coaches are crushing the life out of our Offense by limiting the playbook to a fraction of what could be used. They're doing it so that nobody will be able to tell what we can do in the "real games" yet to come. This strategy may work in the long run, but it results in some extremely ugly football games in the meantime. They ran RJ Shelton three times on the same end-around against Purdue. How many times does a true freshman carry the ball three times in one game on a fancy play like that? It's like our coaches are trying to bore their opponents scouting us in advance by giving them next to nothing to review. This is why Dantonio is consistently so defensive about his strategy critiques, constantly pointing out that we won the game and that he "won't apologize for winning". This is "Tressel-Ball" without the vest. It is ugly to watch, and without big plays on offense, it turns games into white-knuckle events. 5. Michigan has two weeks to heal and prepare for MSU. What do you think each team's performance this past Saturday says about the November 2 match up in East Lansing? Who? We do not worry about the Ann Arbor Charm School ball club until it is the week of the game. There is only one game this week and that ain't it. MSU obviously has a lot of game video to see how UM can be scored on, not only from Indiana, but from every game after the opener against CMU. There's probably not much they can do to improve their Defense with the bye week, but they gain an edge in game-planning to beat our Defense on November 2. The bye-week is an advantage for the Michigan Offense in terms of preparation and also to come down from their inflated ego-state after running all over the Hoosiers. The Spartans can win simply by knocking the UM Quarterback out of the game. Sadly, the same can be said about Michigan. MSU was in position to develop multiple quarterbacks during October, but our coaches were too (fill-in-the-blank) to do it. U of M is a very talented team. I have been saying it for a while now, don't let these games fool you because this team's going to be different when they roll into EL. They are young and far from ready for the big time but they have a lot of talented players on their team. Michigan has been very good coming out of bye weeks too under Hoke. The defense is going to have its hands full with their offense and our offense is going to have to do more than it did last week. I still like our chances but that contest will be a game we have to win and not one that we can escape with a win in. Special focus on MSU running backs including highlights and interviews with players and coaches. Special focus on the MSU offensive line including highlights and interviews with players and coaches. Special feature on Sally Nogle, PhD, AT, ATC - Spartan's Head Athletic Trainer, national Hall of Famer and the nation's first only female to hold that position. Purdue game highlights and insider camera work. Basketball season is almost here for both men and women, and prospects for both teams look good at Michigan State. Tom Izzo's team is setting up for a peak season, while Suzy Merchant seems to be on the way to yet another 20-win season with an upper-echelon B1G finish and a ticket to the Big Dance. The MSU women's basketball rivalry with Michigan has been lopsided to say the least, and it looks like the trend-line will continue on track for at least another season. The Spartans lead the all-time series by a margin of 62-16, with five players returning from a seven member playing group. We'll take a closer look at Michigan State next week. Meanwhile, UM got that 16th win last season behind a six member playing group that featured five seniors. Those five have graduated, leaving Michigan Women's Basketball in a state of near-disarray under a second-year head coach. This year will be a gut-check for Kim Barnes Arico. The Wolverine women's program hit a peak season last year in the same way the MSU Men are poised for a peak season this year. They won 20 games, beat Michigan State once in three tries by a single point, and went to the NCAA Tournament. All three of those accomplishments are rarities in Ann Arbor, but the new coach took the old coach's players and had a better year than the old coach. Just like they did in football. Then they traveled to Europe, ostensibly to play basketball, but they had only three games, winning by scores of 102-34, 117-15, and 112-37. The games were against two teams called "Stella Azzurra" and "AMW France" that do not appear to exist on the Internet, and a third team simply called the "Italian All-Stars". Wow, what great competition, I'm sure they felt like basketball goddesses the whole time. It will be up to the ninth UM Head Coach to find starters at four positions and a backup for the fifth spot from a group of players with very little college experience. She will have about a month to cobble together some semblance of a team before heading into the conference schedule. Only three players return that played more than 24 minutes last year. The key variables for Michigan will be three incoming freshmen, a transfer who is now eligible, and two players coming off of medical red-shirt seasons. The injured players are Val Driscoll and Kendra Seto. Driscoll missed last year due to a knee injury. In two prior years, she played a total of 80 minutes, scoring 26 total career points. Seto is from Canada and transferred to UM from Vermont where she played as a freshman. She sat out a year, played one year in yellow-and-blue, then missed last year due to injury. The four newcomers all play guard. Paige Rakers is the tallest at 5'11" and comes in with insignificant credentials. Siera Thompson and Danielle Williams were ranked in the bottom half of the Top 100, and Shannon Smith transferred from North Carolina after winning Miss Basketball in the Tar Heel state coming out of high school. Three of those players have good potential, but only Smith will be a contributor this season. To get a scholarship player taller than 6'1" on the court, they have either Driscoll (6-4), who didn't play last year, or Goree (6-3), who played only 24 minutes last year. They have seven players listed as guards, four of them in their first year at UM, while their only returning starter is a guard. This leaves six players to fill one position, or they play a three-guard lineup and concede the front-court on a regular basis. Plus the obvious problems listed above, such as losing 84% of their scoring and 77% of their starters, etc. The latest news this month is the loss of sophomore forward Kelsey Mitchell for three to five months with a foot injury. Mitchell was Miss Basketball runner-up two years ago, but didn't play last year due to injury. She averaged nearly a double-double in three European "games" in August, but has yet to play in regulation competition for UM. Just as last year was an "up season" for Michigan Women's Basketball, so will the upcoming season be a "down season" for the ladies in yellow and blue. VIDEO: IZZO Gets Shot Out of Cannon. MSU vs Purdue Football Highlights. We always hear Michigan fans chirping about how many "all-time wins" their football team has racked up over the centuries. They act like all of their historic "wins" were relevant and meaningful, if not impressive. It was on this date in 1890 that UM scored a major football triumph over the Detroit Athletic Club, by a score of 38-0. It was the DAC's third year of existence, a year after John Lodge starred on their Cricket team (prior to having the road named after him). The DAC later sent two divers to the 1956 Melbourne Olympics. There are no records available for DAC football, presumably because there weren't many seasons after this one. The proto-wolverines did not carry their Coach off the field because they did not have a Coach. There was no passing, and the Offense was dominated by use of the "flying wedge", a play that was later outlawed. Players did not wear uniforms, and there is no statistical record of the game. It sounds a lot more like playing a pickup game at the park on a Sunday afternoon, but not so much like a college football game. ANALYSIS OF chUMp NATION CULTURE: "THE VICTORS"
I have vivid memories of the Appalachian State upset of Michigan way back in '07, though I never watched the game. Only heard the last minute of that game on radios in Munn Field and the Breslin parking lot as we walked home from our game that day. It's the same way we always remember where we were when we heard some really big news. The most striking memories I have from that day came from watching news reports for several hours afterwards that showed crowd reactions to the game from all over the midwest. In one place after another, crowds were shown cheering wildly as they saw the chUMps get dUMped. It became clear to me that Michigan was the most hated team in our conference. And I began to think about all the reasons why that might be so. Most of my thoughts were about the UM fans themselves, how they dress, how they talk, how they act during games, the things they say to people who wear green and white. Plenty of memories to draw from. I've been there a few times. I've read a few stories. It all forms a composite whole that we have decided should be called "chUMps". They caught one at Beaver Stadium on Saturday night, and disposed of him appropriately. The sequence was caught very nicely on camera, and a still-photo sequence is available on the Internet. Just try this one, or this one, or this one, or this one, or just search for "Michigan Fan Maced" and you will find several more links. 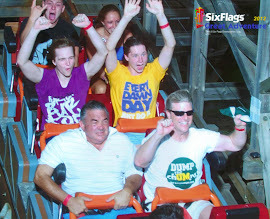 "I was sitting in the section next to this guy. He was standing for every play with his buddy and became confrontational with those around him. The people behind we're getting pissed and some lady actually had enough and hit him. Mid way through the 2nd after Michigan had scored he started taunting everyone and it looked like he was about to start a fight in the stands. Security came up and escorted him down to the front when he grabbed the railing and refused to leave. He ended up talking some swings at the state police who were arresting which is why he got pepper sprayed." Since we don't know this guy's name, let's call him "Victor". Those who are close to him and know him well probably call him "The Victor". It's guys like this that UM fans sing about every time they play that peppy little drinking song during ball games. Hail to this guy and all those like him, right? So you have to figure that a lot of folks in Beaver Stadium last Saturday night would be pretty interested to see if maybe Michigan might lose a few more games this year. And next year. And the year after that. It might make them happy to see it. And maybe some of the other Victors have made appearances like this one at various places when no camera was there to catch the story. Perhaps those Victors did things that made people happy when the Mountaineers dUMped the chUMps at the Pig House on that grand September day. If you see Victor anywhere - - - at a game, on the street, in the mall - - - have your camera ready to see if he will put on a show. You never know when you might need a spray bottle of Mace. MSU FOOTBALL FRONT-BURNER: Are We Trying Too Hard to Criticize? Our weekly feature on MSU Football brings diverse responses to a variety of questions surrounding the Spartans program. Even as the team appears to be coming together, our panelists present unique opinions about many facets of Spartan football. Below are this week's questions. Reader comments are welcome by clicking the link at the bottom of the post. Is the MSU offense a problem or a concern any longer? Why or why not? Should a second Spartans quarterback have seen playing time against Indiana? Should MSU be ranked in the Top 25? What do you think will happen when Indiana gets a shot at Michigan next weekend? 1. Is the MSU offense a problem or a concern any longer? Why or why not? We can't ignore what happened 3 weeks ago. I am right there with everyone that the offense has made some nice improvements over the past few weeks and there were signs of hope against ND even. But Cook isn't magically Kirk Cousins accurate, the WR's still have some hold your breath moments and the RB's are not exactly Ringer and Caulcrick either. I know we don't need a ton of offense to win football games but there are going to be games we need the offense to perform in tight competition in order to win. Can they do that? In 2011 we had an offense that could pick up the slack when needed. I don't just want to win a some games, I want a championship and that is going to mean more than just average output when we need something extra. The Offense is no longer a major problem, it's just not a team strength. Cook has established himself at Quarterback, we now have a true running-back, and several receivers have made great catches the past few weeks. Even the Tight End came into play. The O-Line is a net positive, especially with pass protection. This team will be defined by it's Defense, but the Offense is now part of the playing group. A problem? No. A concern? Always. We have seen improvements but we have also seen mistakes. As the season progresses, it will be tougher to win and the offense can not have any kind of regression if MSU wants to have a successful season. Across the board we have seen improvements and we are delighted with the progress but there still is a lot to do and there is a high ceiling for this team. There was a dropped pass. There were a couple of badly inaccurate throws. There needs to be more yards gained on the ground. There were mistakes on offense that could cost the team badly in future games especially since we can anticipate a defensive letdown here and there. There is a lot of youth. The biggest concern is that they get cocky. YES - The question about the offense has changed. It was, "Will this offense ever be be functional?" The team has given us a resounding "Yes". The question now is, "Can this offense be functional against a top notch defense?" - We likely won't be able to get a "yes" to that question unless MSU gets to it's second B1G Championship in three years. We could could get "no" answers prior to then. 2. Should a second Spartans quarterback have seen playing time against Indiana? Actually, no. Cook needed to solidify his position and gain additional confidence and experience. Now, in the Purdue game, Coach Dantonio needs to start giving another QB snaps. Hopefully as many as 1/3 of the snaps (ala Brian Hoyer). No, no, no. I know what Coach D said about playing a second QB when Cousins was a senior but that was different than this year. Regardless of how you see the QB race going in 2014 and 2015, Cook is going to be around for those seasons too. We are not playing for 2014 and 2015 right now. We are playing for this season and we need Cook to get as much work in and see as much as he can before we get in a tight contest. I can understand if it was 42-14 in the 4th, then its classy to get the starter out. But Cook needs those reps because the defenses of U of M, Nebraska, and NW (while have each had their own issues in their own right) are better than what we saw last week or will see over the next two weeks. Its one thing to have a QB rating of 150 against Indiana and its another to do so in Lincoln, Nebraska. Cook needs to be ready. Yes, and it should have been Tyler O'Connor. At some point in that game, TOC needed some reps. Cook should be running the ball on designed keepers about ten times per game. Teams with running QBs need to have viable backups. TOC should have gotten at least three series in that game. Not trying to revive a "quarterback controversy", just trying to avoid running into another one later. Remember what caused the problem the last two years was the under-playing of the backup QBs, Maxwell two years ago and Cook last year. TOC needs to finish this season with at least 50 pass attempts and at least 25 carries. 3. Did you observe any interesting developments, plays or story-lines from Saturday's game that may have gone largely unnoticed or lacked meaningful media focus? The RJ Shelton touchdown run came off a "Jet Sweep", the first time we had run one of those in the game. We had "shown" Jet Sweep two or three previous plays, but didn't hand off to the Jet before that scoring play. The Jet Sweep is a good change-of-pace (non-trick) play, and we should be running it three or four times each game. Good idea to set it up first, but several players can run it, as shown by the true freshman on Saturday. It has never resulted in a serious loss or turnover, and it almost always nets positive yards even when contained. It's a simple way to put pressure on a defense. That said, we still need to run a simple play-action Counter Bootleg Pass Option play out of an I-formation in short-yardage situations outside of the red zone. That play would be MONEY. Actually yes. It starts last season. The 2012 offense was dysfunctional. That has been discussed ad nauseam. What was missed was the exact moment it began. I replayed the Boise St. game and saw something that is very interesting. The first drive, Maxwell and the offense did very well. They moved the ball steadily down the field and scored a TD. The second drive ended when Lippett bobbled the ball into the hands of a Bronco defender. That was the moment the offense started to "choke." Add to it the Lippett fumble in the 3rd quarter and the receivers started pressing to not make further mistakes. They started over thinking. That carried through the rest of the season and spilt into 2013. They kept choking by trying too hard and thinking too much. Now I read that the receivers are having fun and watching them, they are relaxed and just playing football. Gone is the need to "prove" themselves. They are no longer self-inflicting needless stress and pressure on themselves to make big plays, to not make mistakes, etc. Local media does a pretty good job on picking up on story lines but I have noticed the play calling has some issues still. The last two games didn't exactly start off all that impressive for the offense and it was not until we ran the ball that things started to click. We had some red zone issues against Iowa because we got a little too cute once we got close to the goal line. There were some very similar issues in the play calling a few times against Indiana but we were bailed out by someone making a play. When I say getting cute, I am talking about end arounds and the wild cat formation type play calls. Against ND, Iowa and Indiana our bread and butter physical play was moving the ball. Then when we got close we decided to change things up for some reason. Force the other team to stop us when we are doing what we do best. Don't throw your second tier stuff out there and hope they are fooled both to open the game and in scoring situations. I loved the successfully executed screen plays. I've been looking for that forever! Keep them coming - both inside and outside, RBs, WRs, TEs, FBs. Go crazy with it vs. Purdue. NEXT "TRICK PLAY": The fake 1st half ending kneel down - pass into the flat (or a streak) to Langford and see if he can outrun everyone. No risk as long as it is a forward pass. Call it "Tiny Tim" after his hit song "Tip Toe Through the Tulips". It was "there" at the end of the first half vs Indiana. 4. Should MSU be ranked in the Top 25? I don't think MSU is top-25 material yet. And really what have we done to prove that we deserve that. I get the record thing but your record is just as much about who you beat as it is about who you lose to. Our only loss is to ND but our best win was against Iowa and that is not exactly a resume building win especially considering Iowa is going to have to beat OSU, Wisconsin, U of M, NW or Nebraska to make a bowl game this year. Indiana is a borderline bowl team too. WMU hasn't won a game yet. USF is 2-4 right now. And Youngstown State isn't even in the same division. So its tough for me to say that MSU deserves to be in the top-25 because they have beaten some pretty bad teams. Some solid wins against two more bad teams will go a ways but beating teams that are perceived as on MSU's level will solidify it in my mind. Probably, but who cares? The rankings are a sham, and will be phased out during our lifetimes. Our current ranking is purely a function of our pre-season rank, and that was a blind and/or biased guess by some folks who aren't very bright. Had MSU been a preseason Top Ten team, they would be in the Top Ten right now. Since they weren't, they aren't. Who cares? These are the final years of college football before the real playoffs begin, probably about five to ten years from now. Anybody can vote for anybody in the meantime, but those votes will be rendered uninteresting and ultimately meaningless once the real playoffs are established. No and it really does not matter. Rankings never win games. Even after the Spartans manhandle the Boilermakers this Saturday, there will still be doubters. Even so, a 6-1 MSU might slip into the bottom of the top 25. But there will still be many who doubt MSU because they have played "nobody." YES. MSU has established itself as the 3rd or 4th best team in the league. It says a lot about the conference if the 3rd/4th best team in the league with a nationally ranked defense is not in the top 25. If chUMps can be ranked 18 after the way they got to 5-0, I see no issue with being ranked 25 with the way MSU got to 5-1. 5. What do you think will happen when Indiana gets a shot at Michigan next weekend? Not meaning to be trite, there will be a football game. In that game, the Michigan defense will have its hands full. In that game, the Hoosier defense will have a chance to slow UM down enough to make the outcome of the game a coin toss. Both team will go into the game with things to prove. Whichever team goes in focussed, but not tense, will win. I expect the IU air attack will score its 4 TDs or maybe more. I expect the lack of a robust UM rushing attack will allow IU to stay in the game. It will come down to Gardner. If he remains the TO machine, IU wins. If not, we might see another exciting OT finish. Going out on a limb, IU wins. Barely. Indiana gets cracked over the head by U of M. Its at home and U of M is markedly better under Hoke at home. U of M is a young team and young teams have a tendency to play down to competition and struggle a bit more on the road. Indiana has a nice offense that will move the ball on U of M but they have no defense. In the end, I see it as a similar score to that of our game with Indiana. The Hoosiers will score repeatedly. So will the Wolverines. Bring your adding machines and calculators to keep up with the score. Could be another 67-65 donnybrook, like the Weasels had a few years ago against Illinois. Either team could win. The over-under on Hoke's pre-game meal is FOUR DONUTS. Ditto to SM82. Pass the Paczkies please. 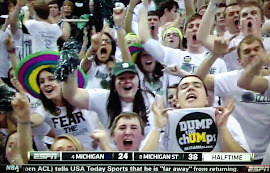 BONUS: chUMps make ESPN's Bottom Ten list. VIDEO: MSU FOOTBALL ALL-ACCESS ~ Spartan Stadium Classic Games. Indiana Game Highlights. Greatest games in Spartan Stadium's 500 game history - Interviews and highlight clips - Multiple games ending in fans rushing the field and tearing down the goal posts (remember those days?) - This is a fun video to watch. High quality production. In the great history of the great rivalry between Michigan State and Michigan, which sport has provided more Spartan winning than any other? It's not football, it's not men's basketball, and it's not hockey. It's MSU Women's Basketball, with an all-time series lead of 62-16. MSU has had only four head coaches in four decades of basketball, while UM is up to it's ninth head coach in the same span of time. The Wolverines have won only 43% of their games all-time. The Spartans have won more than 60% of career games, including 68% under Coach Suzy Merchant. Merchant lost her first game against Michigan, then ran off 12 wins in a row before losing by a point at Crisler in February. That last-second loss was sandwiched by two double-digit wins, including the knockout punch in the conference tournament. The Spartans have held an incredible 4-to-1 (approximate) win-loss ratio for several years, reaching the 40-win mark when UM was around 10 wins in the overall series. The record was 60-15 entering last season (and but for that one-point ballgame, it could easily be 63-15 right now). MSU has won 21 of the last 23 games against Michigan. The prospects for continuing the streak with another win or two this season are very likely, as we will describe in this series. MSU returns two Seniors and three Juniors with extensive playing experience in recent seasons. UM graduated five of their top six players, returning a very small fraction of their team stats and experience. The big question for the Spartans will be how many of the three injured players will be able to make a significant contribution this season. The two smaller questions concern the transfer from Auburn who becomes eligible this year, along with the 2013 Michigan Miss Basketball, who will both compete for playing time on the perimeter. Watch for this series to appear on this web site on MONDAYS for the next five weeks. Just when you thought things were starting to even out in so many ways on the MSU-vs-UM front, we come across yet another example of the sometimes subtle media bias against the Spartans. This one comes from the Lansing State Journal (LSJ). The LSJ is the largest newspaper in the Lansing market, with a significant web presence and a long history of extensive local sports coverage. It is arguably the "cradle of columnists", having produced the great Joe Rexrode most recently, and before him, Lynn Henning and Jack Ebling. But this latest little feature includes an embedded bias against MSU. This is a poll that asks readers to vote for the "best game at Spartan Stadium". There are ten choices, many of them classics. They have the 10-10 tie, the Levi Jackson game, and most recently, the "Little Giants" and "Rocket" walk-off wins. I voted for the 1974 game, as I was there and Jackson broke through a hole right in front of us and blazed down the sideline into pandemonium. You might find a similar reader poll in different cities about their own home school team, with an array of big-game memories to choose from. On the surface, seems pretty tame. But a closer look reveals that three of the ten choices were games that were lost by MSU, two to Notre Dame and one to Iowa. All three were nasty, gut-wrenching, heart-breaking losses. How do these choices make their way onto such a list? For comparison, consider the same reader poll if it appeared in the Ann Arbor News, asking what were the best games ever played at Michigan Stadium. And suppose that three of the choices were the 28-27 loss to MSU in 1990, the 34-32 loss to Appalachian State in 2008, and any of a zillion times that Woody crushed their seasons in the final game. Would that make sense? Do you think people might question the sense of the local newspaper to suggest that such terrible games - - - from the local perspective - - - should ever be considered on a list of ten from the hundreds that have been played? I can't believe any such article would appear in the Ann Arbor media (including Detroit) and I don't believe one ever has. I can't prove a negative, but until somebody shows me evidence of such a piece, I'm asserting here and now that it hasn't. Let me add that it won't in the future, either. Most folks don't notice such a local insult because they just make a different choice and probably only think about a few of the games in the list afterwards, anyway. But don't overlook the fact that people in this area are exposed to what amounts to a "low-level of radiation" of anti-MSU bias in the mainstream media on a consistent basis. That same media then labels Spartan fans and supporters as having an "inferiority complex". Bottom Line: It doesn't make sense to suggest that Michigan State folks would enjoy or in any way prefer a home loss to a home victory. With hundreds of home wins on record, why would a major news agency offer not one, but several losses on a short list for fans to vote on? The underlying message from such original media pieces influences the way people think about MSU, almost as if by design. Today marks another great date in Michigan Football history, as the proto-wolverines squared off on the gridiron against the mighty Albion Britons, vanquishing the upstarts by a score of 56-10. The game was played only two years after tackling below the waist was legalized. Albion was playing it's 10th game of football after taking a year off from the sport in 1889. At the time of this memorable contest, the Britons had played only four teams in their brief football history. Neither team had a Head Coach. Players did not wear uniforms with numbers, and there was no such thing as a forward pass. There was no specific requirement for the size or shape of the ball. This is one of those great wins that the Michigan fans like to talk about so much. It reminds me of some backyard pickup games I've played in, except that we would usually pass the ball rather than use the "flying wedge", which was still legal and prevalent in 1890. Plus we didn't have an official in the backyard, while the big win over the Brits probably had one referee. Remember "games" like this when UM fans start calling out their inflated "all-time win" numbers. Their exaggerated claims about football supremacy are based on counting these historical events as actual games. Segment 1: on MSU graduate assistants - good stuff. Makes you feel good about some of the deep inside components of the program. Segment 2: 7:00 Clara Bell Smith Student-Athlete Academic Center. Jack Allen interview on how academics influenced his decision to select MSU. MSU FOOTBALL FRONT-BURNER: Turning the Page or Turning the Corner? The median drive length conceded by the MSU defense through 5 games is 7 yards. @KJatTOC This is fake. Like... this isn't a real number, right? 1. What do you see as the key on-field developments from the Iowa game? Definitely the debut of Delton Williams as a true-freshman true-tailback. Wondering why the long wait, but great to see him in the mix. Good move to switch Bullough to fullback. Both innovations (or revisions) should continue to help the rest of the season. There were a lot of pluses seen in the Iowa game. Most of them were coming and it was only a matter of time (and patience). The dropped passes are still there, just not as many. Cook seemed to have adjusted the scope on his rifle and was hitting the targets better. The playbook has changed. It is no longer plain vanilla and that was very pleasing to see. Coach Dantonio burned a redshirt and played Delton Williams who was fun to watch. The designed read options did not work. That does not say they will never work, just that the execution was not there (or the Iowa defense saw something that clued them in). Bottom line is that the last 3 games, yes including ND, showed the Spartan offense is improving. I believe we are not done seeing better things over the next several games. They have not hit their ceiling. The offense coming together has to be the biggest on field development. Iowa came ready for bear against the run and we actually were able to make them pay for that with the passing game. Cook looked more settled. I would still like to see some more with his feet but then again he was throwing the ball well enough that there was no need to create a lot. I thought when they had him role out the Hawkeyes looked a little panicked so I would have liked a bit more of that action. The OLine gave Cook loads of time and the pick up of the blitz on the Kings TD was top notch. And heck the WR's made plays. From Lippett going over top of the defender to Sims getting forgotten about to Kings and Fowler's TD's. Across the board its was good to see. Going forward I think teams are going to still test to see if we can move the ball through the air but if we play our game then we should be able to get them off balance. Still have some detail things to work out with getting TD's instead of FG's. Also I would still like to see getting away from the cute stuff like the wild cat reverse pass. Finally, I would like to see Shelton more in the offense. That guy has speed to burn and I would like to see what he can do if given the opportunity. He might not be a rout runner yet but I see some playmaker in him. 2. What do you see as the key off-field developments from the Iowa game? Maybe the debut of Williams. He came to MSU with Damion Terry, and Terry was quoted as being very enthusiastic of Williams getting a chance to play. One of the reasons some gave for playing Terry this year was to keep him here in case he got ants in his pants. With his buddy getting some reps, he may be more invested if was wavering to any degree. Everyone, coaches and players, showed their maturity in stepping forward from the ND game. There does not appear to be any blame game going on and the team's cohesiveness seems to have improved. Going forward, I expect to see even more innovation in the game play/play calling. This does not mean trick plays in the general sense, but rather well designed plays that include deception and misdirection along with planned sequences that allow one play to set up another. Play calling has to get better. Plain a simple. We know that Bollman is the guy who is supposed to put the strategy together and Warner is the guy in game pulling the strings. I think that the the offense came in to both the ND and the Iowa game prepared and had a solid strategy to move the ball. But there were times I was left scratching my head with play calls. Not just the trick plays but with getting away from things that were working or not building off of things that were working. I remember watching an NFL game once with Brian Billick doing the broadcast for two offensive minded coaches. It was early in the game and he pointed out you could tell that these coaches were running scripted plays because they wanted to see what would work, how the other team played them, who had a mismatch, etc. It was the feedback from those first plays that would dictate how these offenses would call the rest of the game. I don't expect to see Warner anywhere near that level but it would be nice to know that what he is doing early in the game will pay off down the road in someway. And its not all bad. Against Iowa we ran what appeared to be an speed option play. At the time I just about screamed out loud because it was a horrible play call. Cook is not that mobile, the WR's don't block that well and we don't have a blocking scheme that allows for our linemen to get that far out that fast to block either. But later on in the game, Cook faked the same play only to pull up and throw the ball over top to Fowler for the TD. Clearly someone saw something and put it in their pocket for that play. The other thing we have seen against both ND and Iowa, the offense has come out of halftime and been able to get things rolling. That tells me that Warner is able to make the necessary adjustments when he has some time to look over a bit of the data. I would like to see that upshift early and on the fly. Whether that means Bollman needs to be be tracking and feeding Warner real time data better or whatever, we need to see some more points earlier. And lets see some redzone strategy so we come away with TD's (I like the potential of that Williams and Bullough backfield down close). 3. Can MSU's defense keep the Indiana offense in check enough to allow the Spartans offense to outscore the Hoosiers? Most certainly. Any team that throws the ball enough will get some plays, but our defense will eventually get their own as well. The Hoosiers have had their fun, now they can get ready for basketball season. Can versus will. We can anticipate a lot more rushing versus the Hoosiers, if the media reports are correct. If this happens and the drives are sustained, then the Hoosier offense will spend a great deal of time on the sidelines while Langford and Williams and Hill and Bullough pound the rock and burn the clock. Given the IU propensity for electrifying aerial attacks, allowing Duzzi'sDawgs to catch their breaths will keep Indian in check, at least enough to leave with the win. The "no fly zone" seems to be more talk than walk so far. Expect IU to throw the ball and make some plays. Hopefully the defensive front wall will get in and cause enough trouble for Sudfeld to neutralize Latimer. Indiana's fatal flaw is there offense. Statistically it seems like a strength but I don't see how they can consistently win in the B1G with this style. Indiana is last in the B1G in time of possession and its actually worse this year than it was the two previous years under Wilson. This high tempo offense, while it statistically looks great for the offense, is killing their defense who hasn't been that bad this year but you wouldn't know it (their defense is ranked 7th in the conference in yards per play but dead last in yards per game because of the time they are on the field). The biggest problem for Indiana's offense is going to be not being on the field. MSU is 4th in the nation in time of possession. Indiana's last 3 drives of last year's game took up less than 3 minutes. MSU runs a system that eats up time and is physical. Indiana doesn't have the depth or the horses to keep up. That is less possessions for their offense, more time to lose any rhythm, and a fresher Spartan D they are facing late in the game. Also, Indiana awoke a sleeping giant in Pat Narduzzi with the first half they had against us last year. Coach Narduzzi already has made the comment this week that, that was not a half of football that you forget about. There is plenty to motivate the boys this week between the nice win last weekend, homecoming festivities, and the 500th game for Spartan Stadium but it seems like Coach Narduzzi is out for blood and wants to prove something because of last year. And I would not be shocked to see the defense take it serious given that most played in that game and with giving up 14 in the first half to Iowa. Narduzzi is already motivated enough but you give him something to give him a little push and a little ammo to use on the guys, it might be a rough Saturday for the Hoosiers. They are going to have to earn every inch.